Preventive medicine really dates back to the 18th century. It developed as a branch of medicine distinct from public health. It came into existence even before the causative agents of disease were known. Preventive medicine got a firm foundation only after the discovery of causative agents of disease and the establishment of the germ theory of disease. 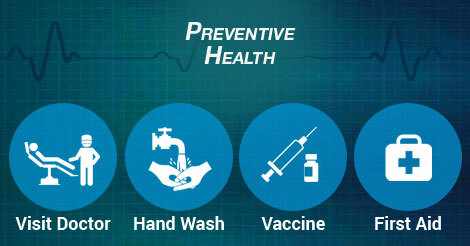 The following are landmarks in the development of preventive medicine both in terms of treatment of disease and development of vaccines. The eradication of small pox (the last case of small pox occurred in Somalia in 1977) is one of the greatest triumphs of preventive medicine. Anti rabies treatment (1883), cholera vaccine(1892), diphtheria antitoxin (1894) and anti typhoid vaccine(1898) are others. There are still diseases which are widely prevalent in the topics such as malaria and leprosy for which vaccines are under development. Preventive medicine is applied to “Healthy” people, Its primary objective is prevention of disease and promotion of health. The impression one gets is that preventive medicine is all about vaccination. Actually preventive medicine goes well beyond that. For example the strategies in the control of vector borne diseases (e.g. malaria, filariasis, plague) have involved the use of insecticides, which has helped in the control of diseases. These diseases have been among the most important world wide health problem, contributing to significant morbidity and mortality. In addition, often a most neglected issue is health education. Preventive medicine is currently faced with the problem of “Population explosion” in developing countries where population over-growth is causing social, economic, political and environmental problems. Control of this “Population explosion” is extremely important. People need to be educated about basic issues like education and sanitation. Provision for proper sewage disposal, clean drinking water are necessities that should be addressed by the local governing bodies. Intended to prevent disease among healthy people. Directed towards those in whom the disease has already developed. To reduce the disability consequent to disease. In addition discoveries in the field of nutrition have added a new dimension to preventive medicine. New strategies have been developed for combating specific deficiencies as for example, nutritional blindness and iodine deficiency disorders. Another notable development in the 20th century is the development of “Screening” for the diagnosis of disease in its pre–symptomatic stage. For example the cholesterol estimation and mammography (to detect breast cancer) etc. Many of the tests are usually not available easily to the common man, especially people living in rural areas.